Discussion in 'Dungeons & Events' started by Zodiac, Aug 8, 2018. 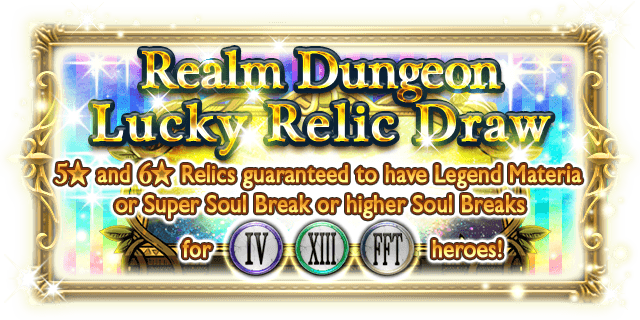 This is the once-only half price 11x Relic Draw, whereby Super Soul Break or higher relics or Materia relics guaranteed for FF IV, FF XIII, or FFT realm. Me on Reddit the other day: "I'm at 49/207. 3 chains for elements I don't have covered, Edge USB0, better relics for Vanille, overall, too many wants to pass up. I'll roll the dice, get Overture dupe/11." I keep making notes to self to quit DU Luckies. Some real nice RNG later, I'm not quitting anytime soon. Upgrade on Vanille's SSB? Check. Chain? Not just a chain, but the 2.0 chain I whiffed on in Fest. Very happy. Roche, Hibernis and Luxord like this. Vanille is one of my 3 LD Healers, I have her USB but never use it. Instacast curage + self MND buff and mages love her CMD1 that breaks res (and more often then not, with a holy weak boss, dual casted it is decent damage too). My point is, especially since you didn't pull dupes: you lucked out! Roche and Tricky1 like this. Totally! I've coveted Vanille BSB for a long time, long enough that I was wondering if I was overrating it at this point. In AA Book VI I've been torn between Vanille and Iris (with Yuna and Penelo as the other contenders), so this pull was extremely lucky. Hadn't pull these in a long time. Pray for no dupes! 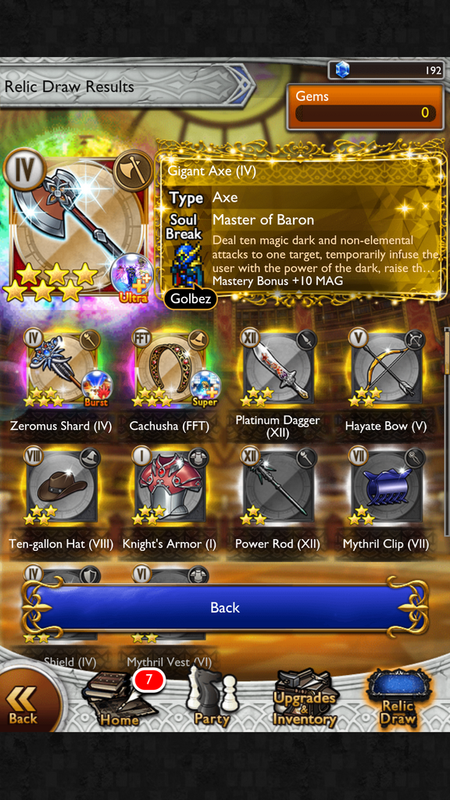 oh well, at least Golbez BSB is a native +dark weapon.